The CAMON C8 Rotavator, has built a reputation as a tough and durable machine that will perform in even the most demanding of conditions. 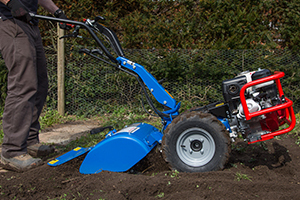 With a powerful Honda GX270 petrol engine, this rotavator can tackle the toughest digging jobs. Categories: Gardening & Landscaping, Rotorvators. 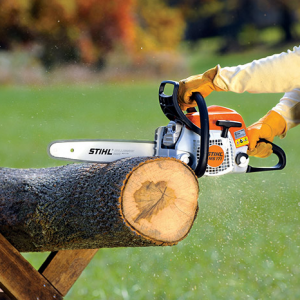 The Stihl MS171 Chainsaw is an innovative chainsaw that is just right for homeowners who need to cut firewood, fell small trees or for clean up work. Comfortable to use by all. 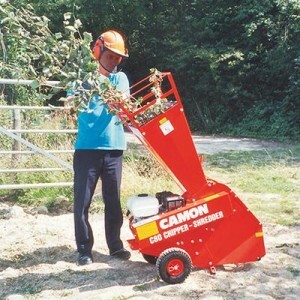 If you have large amounts of green waste to reduce then you will need a chipper shredder, with a separate chipping and shredding chutes. The side chipping chute is used to feed branches into a chipping blade whilst the top shredding chute directs your green waste into 27 rotating knives that pulverise the green waste into smaller parts. 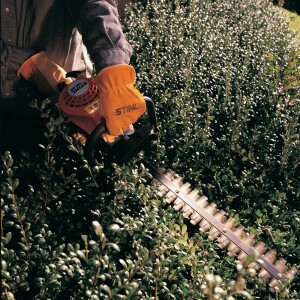 The Stihl HS45 24″ hedgetrimmer, Light introductory model for garden hedge trimming. With Elastostart for comfortable starting. This version of the HS 45 comes with a 60cm (24 inch) bar.